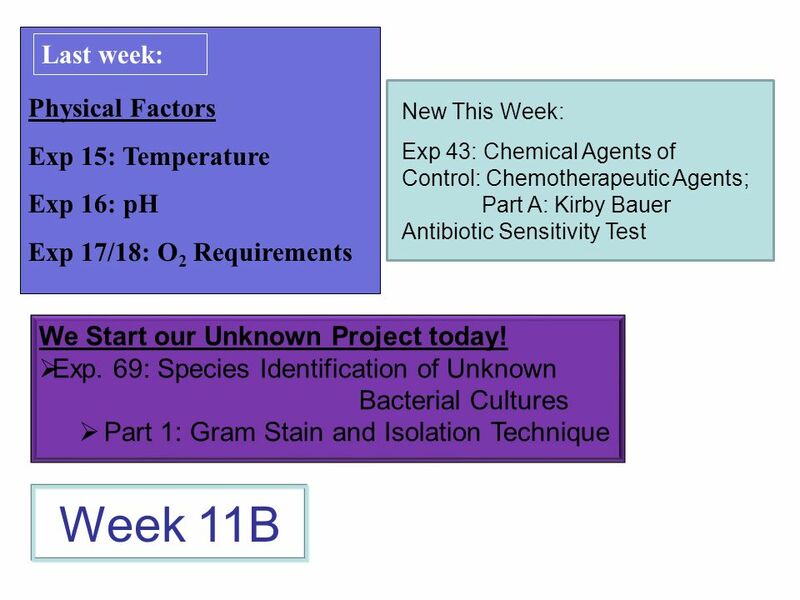 Physical Factors Exp 15: Temperature Exp 16: pH Exp 17/18: O 2 Requirements Week 11B Last week: We Start our Unknown Project today! Exp. 69: Species Identification. 3 Exp 16: Physical Factors: pH of the Extracellular Environment pH - measure of [H+] ion concentration in a solution –Low pH - end products of carbohydrate metabolism are organic acids (yeasts). –High pH - end products of breakdown of proteins are amines and ammonia. 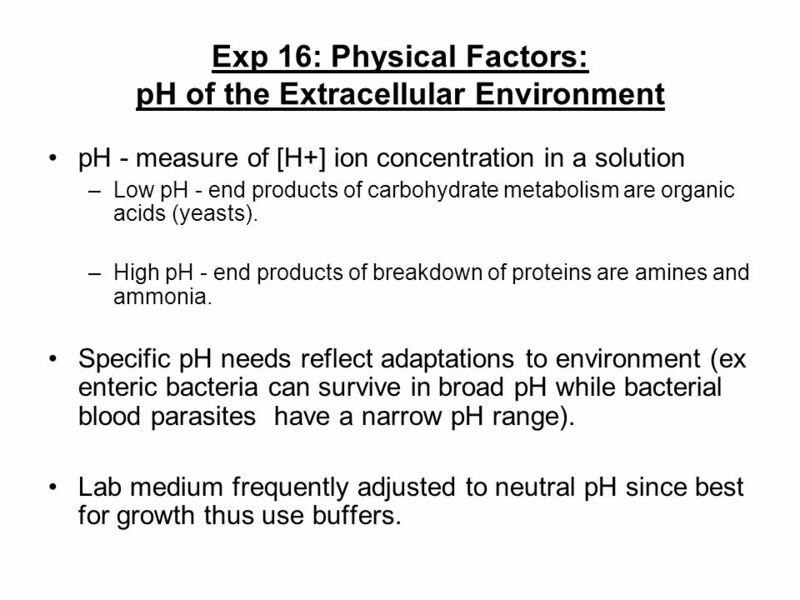 Specific pH needs reflect adaptations to environment (ex enteric bacteria can survive in broad pH while bacterial blood parasites have a narrow pH range). 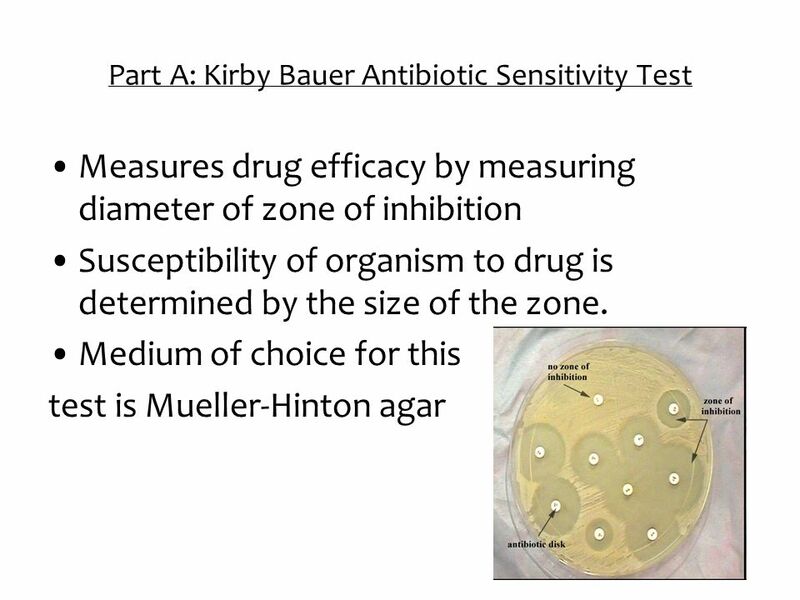 Lab medium frequently adjusted to neutral pH since best for growth thus use buffers. 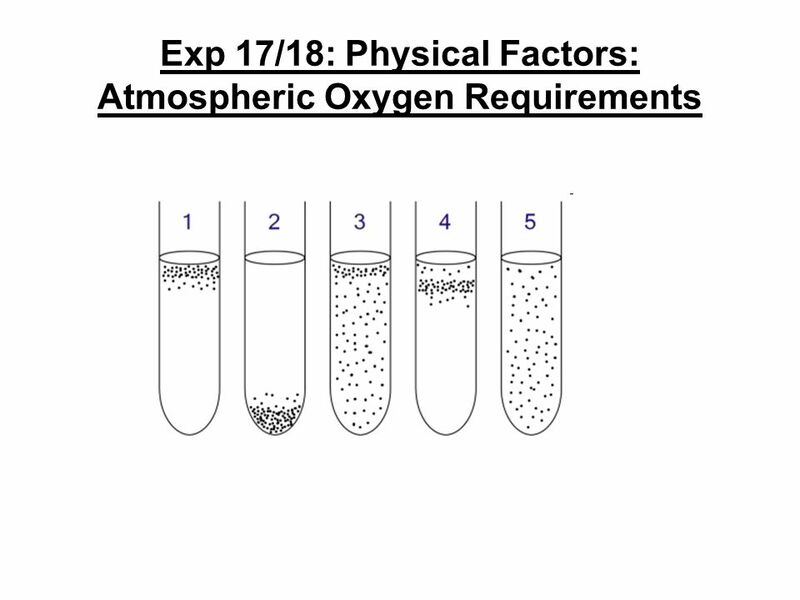 Download ppt "Physical Factors Exp 15: Temperature Exp 16: pH Exp 17/18: O 2 Requirements Week 11B Last week: We Start our Unknown Project today! Exp. 69: Species Identification." 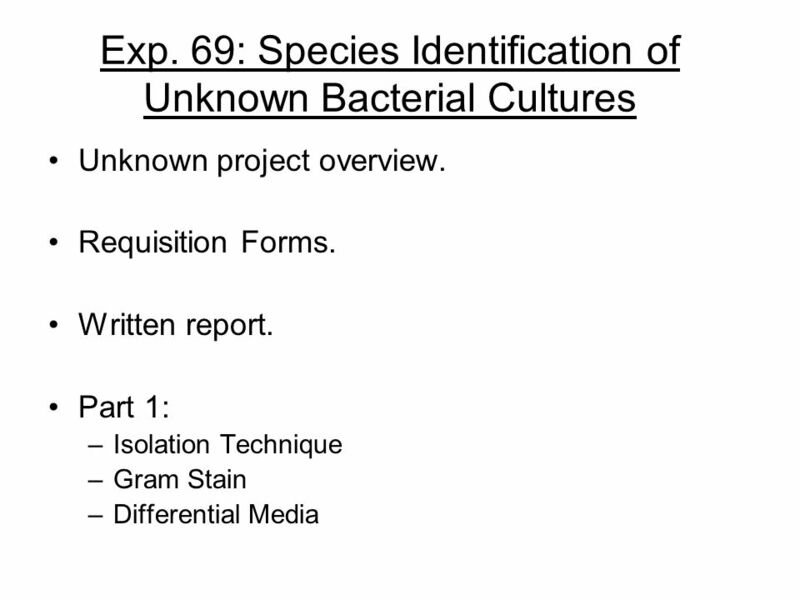 Chapter 6 Microbial growth. 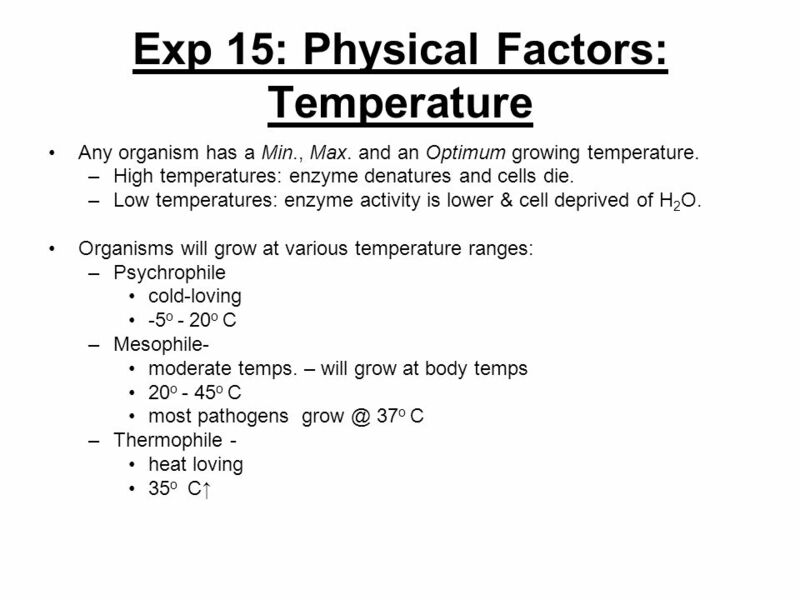 Microbial growth – increase in the number of cells Depends on environmental factor such as temperature. Divided into groups. 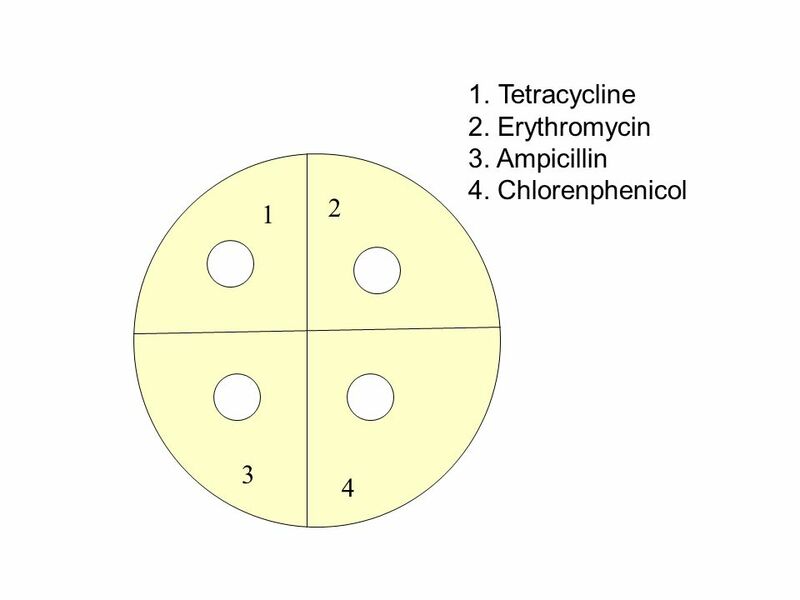 Microbial Growth For microorganisms, growth is measured by increase in cell number, due to their limited increase in cell size. 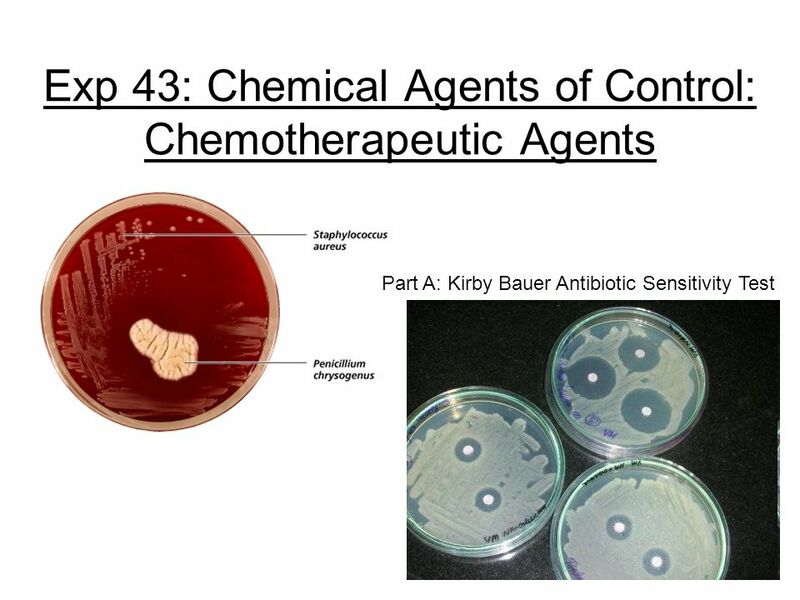 Experiment three Physical and Chemical agents for the Control of microorganisms Effect of Ultraviolet Radiation Effect of chemical agents. PHT 381 Lab# 4. A Culture medium:- ❊ An artificial preparation which contains the essential elements and nutrients needed by the m.o to grow. (most. Wed Lab 5 discussion: Discuss aseptic technique and better ways/equipment for sampling. 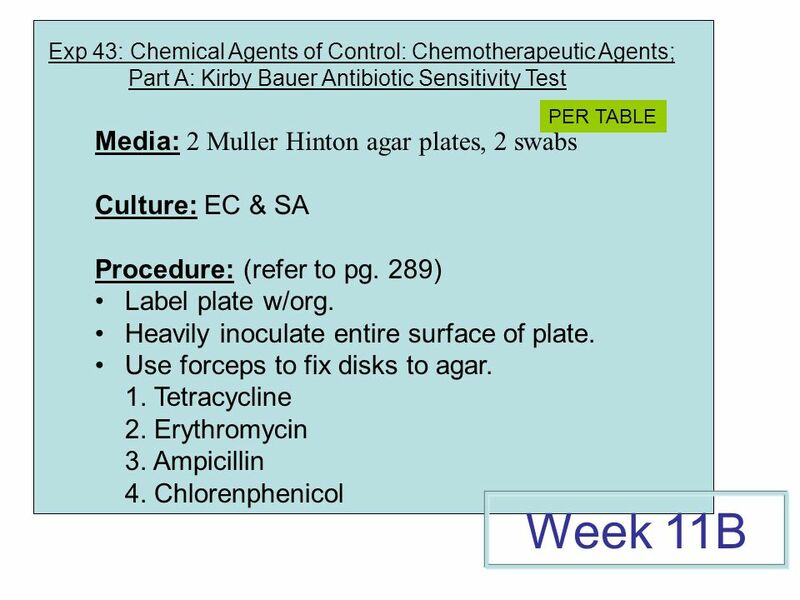 5 minutes to look at plates Lecture continued Worksheet. 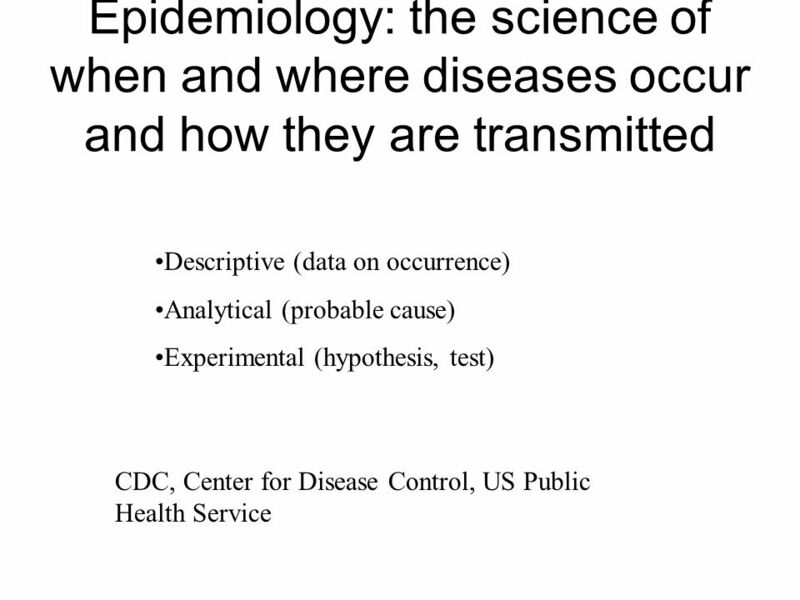 1 How do you study something that you cant see? You look at it under the microscope –But certain microbes (e.g. bacteria) do not have too many identifying.